I often will meet parents when I’m out at a party or on a long flight who, when they hear that I’m a bullying-prevention educator, immediately begin to impart their terrible story of childhood trauma and abuse or stories about their kids being bullied in school. And while just about every parent cares passionately and deeply about ending bullying, most are unsure of what they can do to protect their child. That’s one of the reasons that I partnered with Everyday Feminism a few months ago to facilitate a free webinar on how parents can intervene to end bullying. Knowing that not every parent has an hour to sit down and watch the recording of our webinar, though, I wanted to offer a quick read for parents who are concerned about bullying. Before parents can effectively intervene when bullying is taking place, it’s important that we understand a few things about the nature of modern bullying. First, a comprehensive review of the research on bullying from the American Educational Research Association tells us that “bullying is often aimed at specific groups” and is often a direct result of power imbalances. In short, bullying is primarily a problem of power, not simply random childhood cruelty. Though not every instance of bullying is directly related to identity, research indicates that it can be important to talk about bullying through the lens of identity. Second, the nature of bullying has changed tremendously in the last 15 years. In my own case, I was bullied pretty terribly in my youth. It got to the point that I felt pretty desperate and even suicidal at times. And this was in a time when I was able to take breaks from the bullying. You see, when I got home from school, the bullying stopped. And every summer break, I got a two-month reprieve from the bullying behavior. And I barely survived! Today, with the wide accessibility of cell phones and the Internet, bullying can be near constant. One of the last things young people with cell phones do before bed and first things they do when waking up is check their phone. If they’re being bullied through Twitter or text, that’s how they will start their day. The scary thing about cyber bullying is that it never takes a break. Knowing these two things about bullying will help tremendously as you look for the ways to best support your child and intervene when they are being targeted for bullying. Though it may seem obvious, many of the signs of bullying go unnoticed or written off as moodiness or growing pains. But there are concrete things that you can look for that will help you to identify when you child is being bullied. …stopped doing things that they enjoy? Students who are being bullied tend to express greater self-consciousness, and as a result, they may suddenly stop doing things they enjoy. Maybe they’re being mistreated at baseball practice, so they no longer want to play baseball. Maybe they’re being bullied for their interest in Magic the Gathering, so they suddenly stop playing the game that they love. …expressed a sudden or progressive sad or sullen attitude? Maybe this is a sign of seasonal affectedness, or maybe this is because the teasing has finally broken through your child’s defenses. Once the poison of bullying gets inside, it often will show up through progressive or sudden sadness. …expressed a sudden or progressive angry attitude? Similarly, bullying can also lead to sudden outbursts of anger. This is important to recognize because it can often end up leading to your child“passing on the hurt” by bullying other people. For me, I was terrible to my parents and best friends when I was being bullied in middle school. …expressed sudden or progressive self consciousness about their identity? 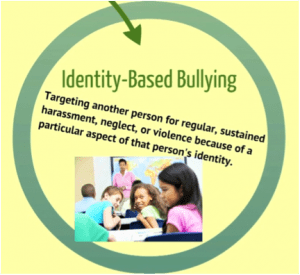 Because much bullying is identity-based, it can lead to students feeling more self-conscious about the aspect of their identity that is being targeted. In the case of heterosexist/homophobic bullying, it can lead targeted kids to express self-consciousness and to project their understandings of heterosexuality in extreme ways. …been reluctant or afraid to attend school or activities? Maybe they’re just hitting that time of year when nothing can make them want to go to school, or maybe they’re being mistreated in some way. But sudden reluctance to attend school or activities is a good sign that bullying could be taking place. If your answer to any of these questions is yes, talk to your child. The more open and honest you are with them about your concern, the more likely they will be to talk to you about what’s hurting them. And even if they don’t end up sharing everything with you right then and there, bringing it up helps them understand that they can come to you for help. People cannot stop talking about bullying. There are endless stories on repeat throughout the major media, and in the past few years, every state in the country has passed laws or policies that are aimed at tackling bullying. Virtually every school in the country has a “Respect Week” or programming during October, National Bullying Prevention Month. And these conversations are important. They come from a deep and serious concern for our young people who are hurting. But they are also grossly ill-conceived. Part of the trouble with tackling bullying is that there is no “one size fits all”approach, and there never can be one. And so long as we treat bullying as if it’s some general problem that requires general solutions like “respect campaigns,”we ensure that the problem of bullying will persist in our communities. After all, at its root, bullying behavior is about power. Far too often, young people tear each other down and target one another for sustained violence, harassment, or neglect in order to feel more powerful, particularly when the person exhibiting bullying behavior is feeling powerless. If we actually started calling bullying what it is and address it as racism, sexism, homophobia, transphobia, ableism, fat phobia, and classism, it would actually give children a better way to deal with the very same power dynamics they will face as adults, while also giving adults more responsibility to challenge the intolerance that is rooted within our society overall. In essence, it’s time we change how we talk about bullying. In my own work, I use the term Identity-Based Bullying to get at the root of the bullying problem. It is reflective of the very same problems of power, oppression, and privilege that we see in wider society, only it’s played out in language and behavior that students can better understand. After all, the patterns we see in bullying behavior reflect many of the issues of oppression and marginalization we see in wider society. In Gender, Bullying, and Harassment, Elizabeth J. Meyer lays out the impacts of sexual harassment and body policing that young girls experience in school as one method of bullying. The incredible researchers at GLSEN make it clear that LGBTQ+ students on the whole feel unsafe in school and are harassed and assaulted at alarming rates. In their chapter “Fat Youth as Common Targets for Bullying” in The Fat Studies Reader, Jacqueline Weinstock and Michelle Kreibiel explain not only how common weight-based bullying actually is, but also how socially accepted it is within school climates. In one school, students may be targeted for their race, in another for their physical or cognitive ability. In a third, they may be targeted for their religious expression or native language. Still in another, the bullying might relate to gender expression in more subtle ways, with boys who are less athletic teased for their interests and girls who choose not to shave their legs tormented for their bodily expression. The point, though, is that tackling bullying simply with “respect” and “kindness,” while well-intentioned, simply misses the mark. The most common outcome of the recent wave of anti-bullying legislation, though, has not been funding for trainings or curriculum that teaches students how to intervene when bullying is taking place around them or that gives teachers tools for building more inclusive classroom environments. More than anything else, these laws hand down harsher consequences to punish bullies. What these approaches fail to address, though, is that bullying cannot be solved with punitive consequences. First and foremost, punitive measures, though sometimes warranted, do nothing to prevent further bullying if for no other reason than pre-frontal lobe development in young brains. 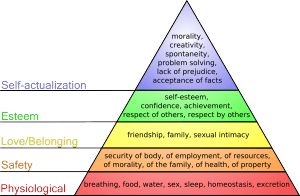 If the part of the brain that helps us reason “If I take X action, Y will be my consequence” isn’t fully functioning, then consequence-oriented policy isn’t going to solve the problem of bullying. Beyond simple biology, though, there are socio-emotional arguments to discourage “zero tolerance” punitive approaches to bullying. Most students who exhibit bullying behavior are struggling and have been bullied themselves. In fact, among middle school students, the majority of students have participated in bullying behavior at some time. Norris M. Haynes, Christine Emmons, and Michael Ben-Avie of the Yale University’s Child Study Center even note that excessive punitive measures end up telling students who actually need more support that they are not wanted or welcome in the school community. This is all to say that if we want to end the problem of bullying, we have to think differently about what solutions look like. In short, we have to transform the culture and climate of our schools. If we want to end the problem of bullying, we have to do two things: appeal to the rest of the adolescent brain, the part that relies on culture and habit; and address the specific nature of the bullying in our school environments by championing inclusion. Educational researcher Sheri Bauman of the University of Arizona uses the term“climates of civility” to describe the challenge we face in tackling bullying. If we want to end the problem, we cannot simply pass some laws and wash our hands. We have to do the tough work of changing culture and climate. Fortunately, there are a few simple things that students, educators, and families can do to build cultures of civility and inclusion that prevent bullying.